Congratulations to the students selected as delegates in the sixth annual Oxbridge Academy Cambridge Scholars Program. 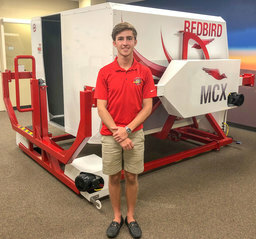 Congratulations to senior Luke Weisberg who received his private pilot's license on December 19. Check out this month's issue of Palm Beach Illustrated! 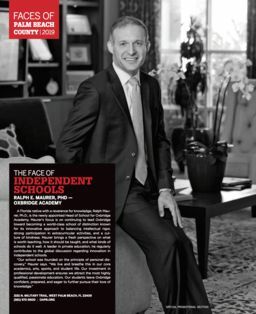 Dr. Ralph Maurer is featured on page 124 as one of The Faces of Palm Beach County. to read the story. 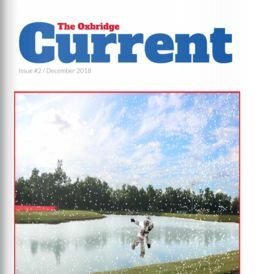 The second issue of The Oxbridge Current is now available, and full of interesting articles. Last Tuesday, the Oxbridge community came together to celebrate the girls basketball team, the 2017-18 FHSAA Class 5A State Champions! 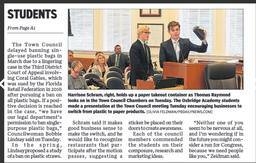 Congratulations to Harrison Schram '20 and Thomas Raymond '20 for getting a unanimous decision from the Town of Palm Beach council Tuesday to encourage businesses on the island to move away from using plastic products. 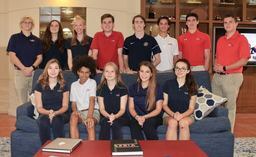 It was announced last week that the Oxbridge debate team is ranked in the top ten in the nation. 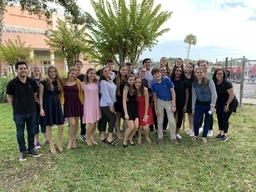 The Oxbridge Academy theatre department's Performance Ensemble class went to the Florida State Thespian District Competition last month and came home with big wins. Our college counselors help students find the right collegiate fit. Small class sizes spark creativity, innovation, and vibrant discussions. With so many course offerings, students can customize their high school experience. Course electives offered to foster student inquiry, innovation and ideas. Our generous financial aid program ensures a diverse student population. Need-based financial aid invested in bright young minds. Teaching our students important lessons, athletics serve as an extension of the classroom. Students come to Oxbridge with kindness, curiosity, and a willingness to try new things. Together they grow into adults with new and improved skills, expanded knowledge, developed relationships, and a quiet sense of confidence. Whether in the classroom, on the stage, or on the field Oxbridge students learn to win with grace, grow from their challenges, and always support each other. When they graduate, they leave ready to make a positive impact in our community and beyond. Click HERE to read our alumni profiles. Join us at our next Admission Open House on Saturday, April 27, 9:30 a.m. - Noon. Click HERE to register.